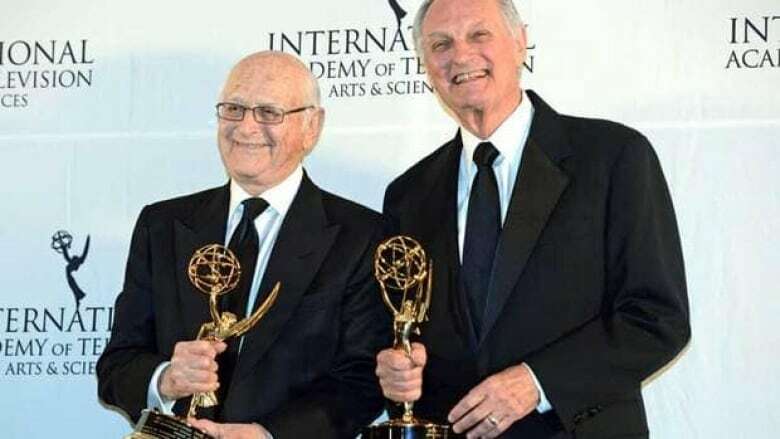 Producer Ryan Murphy paid tribute at the International Emmy Awards to television legends Norman Lear and Alan Alda, whose cutting-edge, socially conscious shows in the '70s paved the way for his own shows like Glee and The New Normal. Two awards each to shows from Argentina, Brazil, U.K. Unlike previous years when Britain dominated the International Emmys, the winners in the nine categories this year spanned six countries. Argentina, Brazil and Britain each won two awards; Australia, France and Germany had one apiece. Murphy closed Monday night's awards ceremony by presenting the 40th Anniversary Special Founders Award to All in the Family creator Lear and M.A.S.H. star Alda. 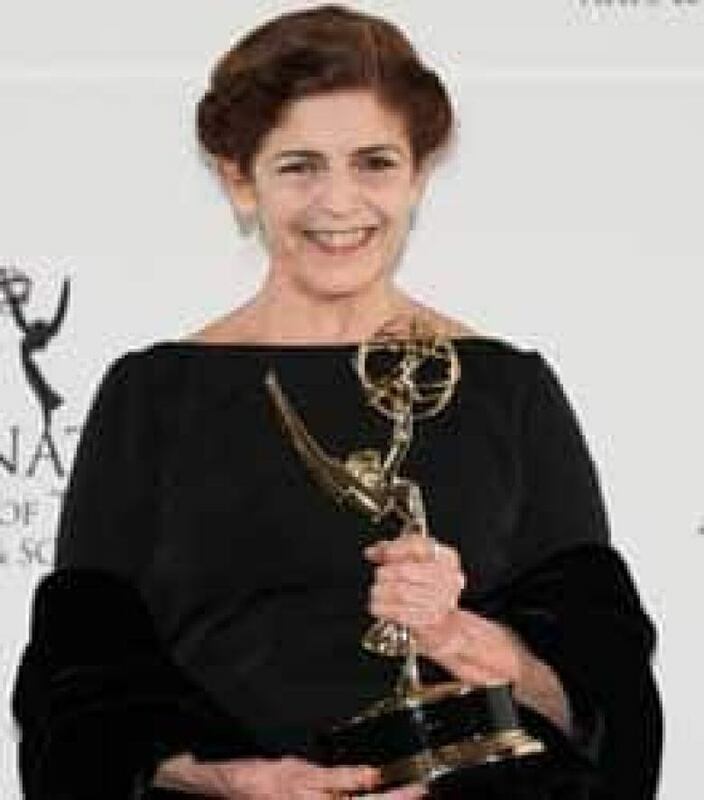 The International Academy of Television Arts & Sciences decided to mark the milestone anniversary with special awards honouring a producer and performer who had groundbreaking shows on TV in 1972 when the International Emmys were first presented. Fittingly, the night's big winner was Argentina's Television x la Inclusion, a drama produced by On TV Contenidos dealing with issues of social exclusion and inclusion. It became the first series in the history of the International Emmys to sweep both acting categories. Dario Grandinetti, who starred in Pedro Almodovar's film Talk to Her, won the best actor award for his portrayal of a divorced, xenophobic taxi driver determined to drive out his Peruvian neighbours. Cristina Banegas, a veteran Argentine theatre, film and TV actress, was honoured as best actress for her role as the mother of a girl with Down syndrome who fights her health insurance company when it won't authorize life-saving heart surgery for her daughter. "Every episode was about a topic related to discrimination," said a surprised and weeping Banegas as she accepted her award. "It was an honour to participate in a work where ethics and television work together." The British winners were in the documentary category for Terry Pratchett: Choosing to Die, about the author who after his Alzheimer's diagnosis travels to a Swiss clinic for a first-hand look at assisted suicide procedures, and The Twilight Zone-inspired Black Mirror, a suspenseful and satirical look at the unease created by modern technology, in the TV movie/mini-series category. Both of Brazil's wins went to TV Globo productions. The Invisible Woman, about a publicist married to his boss whose relationship is threatened by the appearance in his life of his imaginary ideal woman, was chosen the best comedy. The Illusionist, the story of a scam artist who becomes an illusionist after meeting a magician in jail, won in the telenovela category. Murphy himself was honoured midway through the awards ceremony hosted by Regis Philbin at the Hilton New York Hotel. Jessica Lange, the star of Murphy's contemporary gothic TV series American Horror Story, gave a heart-felt tribute to her "dear and loyal friend" as she presented him with the honorary 2012 International Emmy Founders Award. Murphy, the writer, director and producer whose credits also include Nip/Tuck and Popular, described Lear as "the biggest shaper of my ideological life." He recalled the impact that seeing an episode of All in the Family in which Edith Bunker is raped had on him when he was seven because it provoked a family discussion about women's rights. He hoped that his shows like Glee and The New Normal would shine a spotlight on issues of tolerance, human rights and confronting bigotry. Murphy said he recently asked Lear in a telephone conversation if he had any advice for him. "He paused ... and he said, 'Keep fighting.' And Norman, I want to tell you I am doing just that." At the end of the ceremony, Murphy returned to the stage to give the special awards to Lear and Alda. In accepting his award, Alda, who played the wise-cracking, anti-authoritarian Army surgeon Hawkeye Pierce, said Lear opened the door for a show like M.A.S.H, because on All in the Family he showed that "now we could be funny about things that were serious." Alda, the only person ever to win U.S. Emmys for acting, writing and directing in the same series, said M.A.S.H. owed a special debt to the Korean War veterans who shared their personal stories. "These are the people who really lived through the stories we told decades later — the men and women in those hospital tents who went through the cold of winter and the blood and the pain, the loneliness, and seeing their patients die, some of who were only a couple of years away from being children," Alda said. Lear, who met Murphy for the first time in person at a luncheon earlier in the day, said he felt deeply that "the world needs to come together and will come together through the arts." Best drama: France's police drama Braquo—Season 2, about a group of Parisian cops who circumvent the law, using violence and intimidation. Arts program: Germany's Songs of War, in which Sesame Street composer Christopher Cerf explores the relationship between music and violence after learning his songs had been used to torture prisoners in Guantanamo and Abu Ghraib. Non-scripted entertainment: The Amazing Race Australia. International Emmys for children's programming will be presented at a new awards ceremony on Feb. 8 in New York.